The Sew Me! 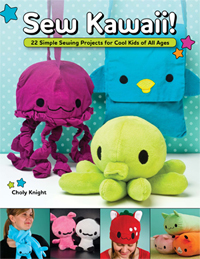 series debuted in November 2013 and begins with Sew Me! Basics, my fourth book. Project info: Projects are illustrated through numerous full-color photographs explaining every step. Also, the getting started section features numerous details on getting started with sewing, from picking out a machine to choosing fabric. Pattern info: Project patterns are given either via drafting dimensions (simple rectangular measurements for you to draw and cut out) or printed within the book for enlarging at home or at your local copy shop. 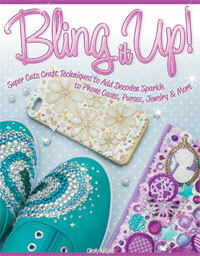 See the tutorial I’ve written on enlarging book patterns for more help with this! This book was written specifically with beginners in mind, so it takes you through learning how to sew from the very beginning! 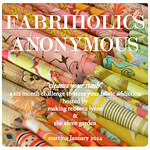 I’ll show you how to pick out a sewing machine based on your crafting personality, show you how fabric is constructed and how that affects your sewing, and even teach you a bit about color theory so you’re sure to pick out fabric combinations that you’ll love for years to come! And the entire book is chock full of informative diagrams, charts, illustrations, and photographs to make learning extremely easy to digest instead of a chore! From there, each simple and straightforward project in the book teaches you crucial sewing techniques one step at a time. 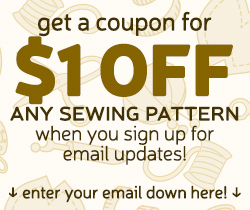 Instead of loading every sewing technique onto you all at once, each project focuses on teaching a specific skill – you start out sewing simple seams, both straight and curved, and move up to sewing appliqué, zippers, buttons, elastic, and even knit fabrics! Now you can try out new skills quickly and easily and have a fantastic and useful project in the end to boot! You can try out your appliqué and curve sewing skills with an adorable cat plush, learn to install zippers with a handy pencil case, find out about eyelets while sewing a simple coin pouch, and even make a fantastic hat while learning about sewing with knits. 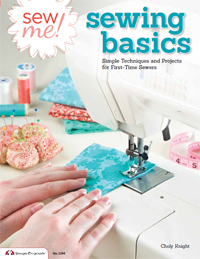 I wrote this book with the mindset that this is the book I wish I had when I was learning to sew ^-^ So you’ll find it’s fun, fresh, simple, and filled with projects that are useful and customizable as well! 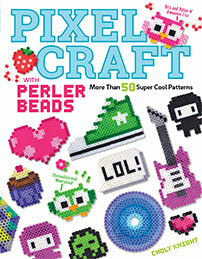 I hope if the sewing bug has bitten you that you’ll give this book a look to see if it can start you off on your adventure! Once you’ve gotten your presser feet wet, now you might have a better idea of what your sewing future looks like. Do you see yourself creating beautiful garments? Or perhaps designer-quality accessories? 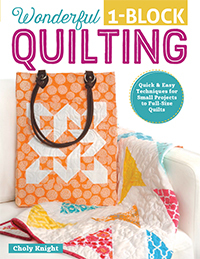 There’s also an entire world of quilting or home décor as well! That’s where the next in the Sew Me! series comes in. Sew Me! 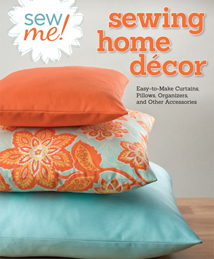 Home Décor is for those that were piqued by the home décor projects in Sew Me! 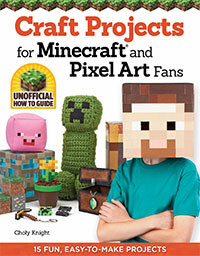 Basics or perhaps would just like a simple and straightforward book of easy home projects. 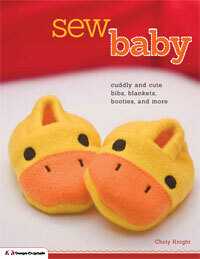 Just like with the first in the series, Sew Me! Home Décor is filled with projects that are simple and straightforward, with loads of diagrams, illustrations, and photographs to guide you so people of every learning style can join in. There are projects for storage boxes, pillow covers, and duvet covers. There’s even an eyecatching Modernist quilt that’s uniquely tailored (using the quilt-as-you-go-method) to be super simple for beginners! 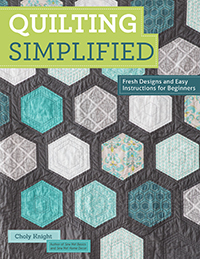 So if you’ve every been afraid to try quilting, this is the perfect opportunity to try it out. I hope you’ll find these projects are perfect basics for anyone that’s new to sewing and wants to spruce up their home with some handmade flair. So if you love making unique and cozy home furnishings, I hope you’ll give my book a peek to see if it will jump start some crafty ideas for you! Sew Me! Sew & Go! If home décor items aren’t really your thing, you can also try your hand at useful accessories, like purses, bags, totes, and cases. Sew Me! Sew & Go! is here to give you that opportunity. This book is filled with projects for items that you need every day, whether it’s carrying your groceries or stowing away your cell phone. And all of them are broken down to be easy for beginners, but with enough options to make them interesting for those who are more experienced. You’ll find that each project comes with loads of diagrams, illustrations, and photos to make following along easily. And the projects also show special focus on important techniques like zipper installation, buttons & buttonholes, and installing snaps. 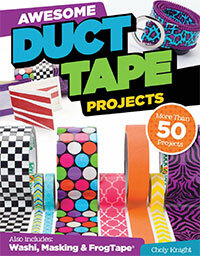 No matter what you need stashed away, there’s sure to be a project in here for you. Especially since projects like the Tablet Sleeve are based on the measurements of your tablet or iPad so it fits perfectly no matter what model you have. Projects like the Roll-Up Pencil Case and Book Bandolier are perfect for students, and allow you to get yourself organized in just a few nights of sewing! 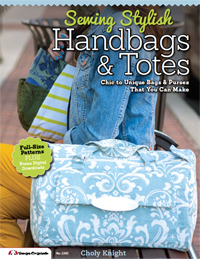 And if you’re interested in making handbags, fun projects like the Reversible Tote Bag, Mini Messenger Bag, or Polished Ruffled Purse are great for getting your feet wet in the world of handbag design. If you’re in need of some personalized and coordinated items to be ready for you when you’re on the move, then maybe this book is for you! 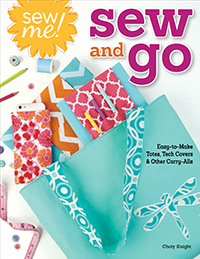 Expand your sewing repertoire to useful totes, tech covers, and carry-alls with Sew Me! Sew & Go!